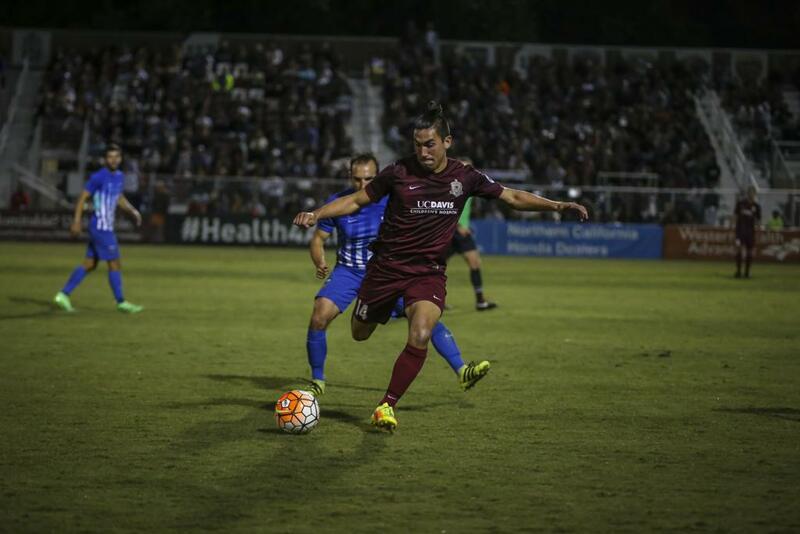 Sacramento Republic FC fall to Orange County Blues FC in penalties after scoreless 120 minutes. The Blues shocked the 2014 USL Champions, and the nearly 11,000 fans in attendance at Bonney Field, with the first round victory. 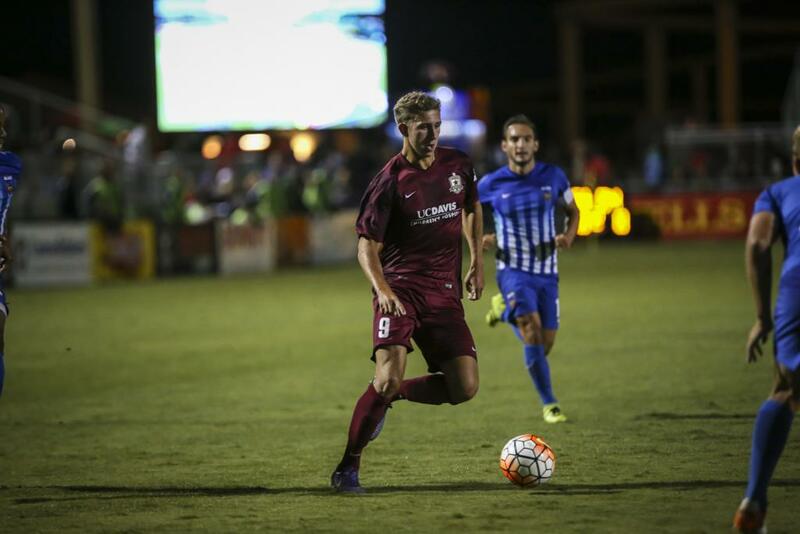 It is the second consecutive year Republic FC have lost in the first round. Orange County Blues FC started their assault on the goal early by nearly scoring in the 28th minute after some back and forth play from both sides. Following a corner kick, Republic FC keeper Evan Newton came off of his line to deflect a cross into the box by Andrae Campbell. Blues forward Akwafei Ajeakwa chested the deflection to Mats Bjurman who sent a low shot on goal that was blocked away by defender Chris Christian. The rebound fell to Ajeakwa who took a second shot that hit off the crossbar of an otherwise wide-open goal. 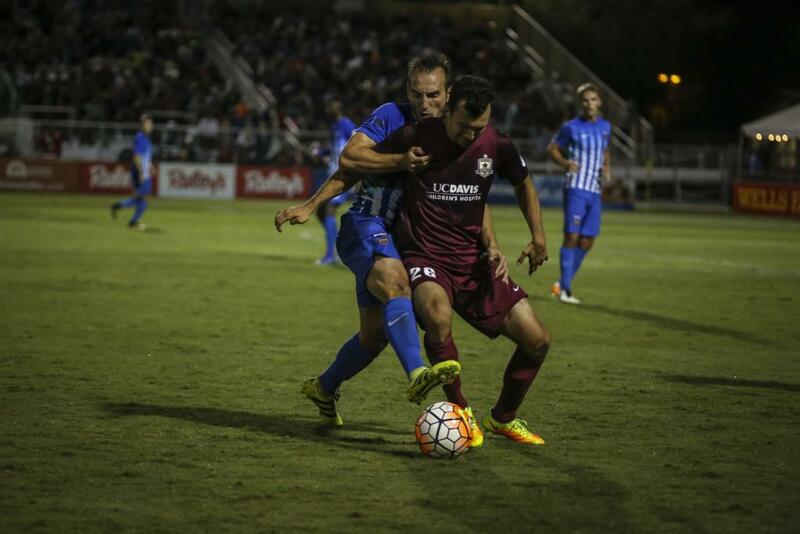 Republic FC put pressure on Blues’ keeper Joshua Cohen in the 33rd minute in the form of a shot from Matt LaGrassa. The midfielder pounced on a loose ball just outside the box and sent a right-footed, curling shot on goal. Cohen was forced to leap high in the air, stretching out to save the shot from LaGrassa. Cohen was called into action again in the 41st minute when he saved a powerful header from Republic FC midfielder Cameron Iwasa as the match stayed scoreless at the break. Both clubs left the pitch scoreless at the half. Blues forward Trevin Caesar found himself in a one-on-one breakaway with Newton in the 51st minute in the first near scoring attempt of the second half. Caesar streaked behind the Republic FC defense leading Newton to come off of his line and block away the chip shot attempt from the unmarked forward. The match would remain scoreless through the end of regulation, forcing 30 minutes of extra time, a first in Bonney Field history. 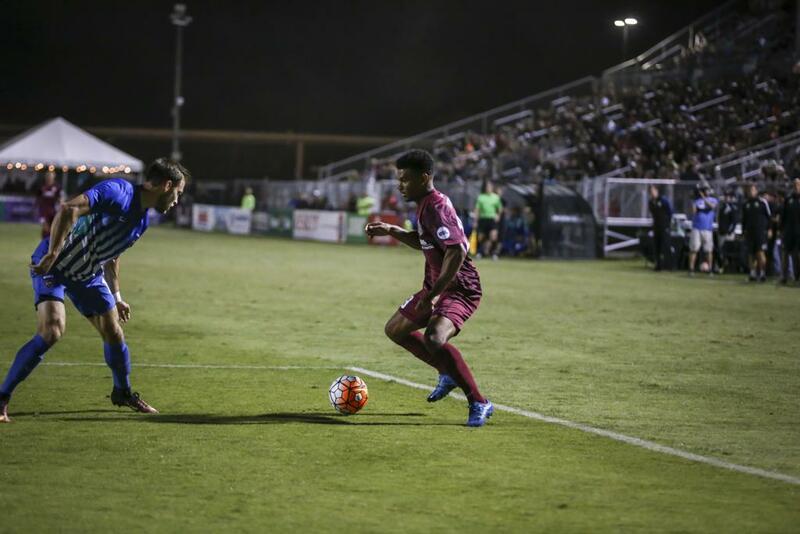 In the 110th minute of the match, Republic FC substitute Octavio Guzman received a pass from Carlton Cole in an open area at the top of the box. Guzman swung his right foot through the ball but put too much power on the strike as it sailed over the crossbar. Despite a flurry of chances by Republic FC at the extra time, the match would end scoreless, leaving the winner to be decided by penalty kicks. Republic FC shot first, with Daniel Trickett-Smithconverting. The Blues sent Roy Meeus to the spot next and the defender scored his penalty to even the score at 1-1. 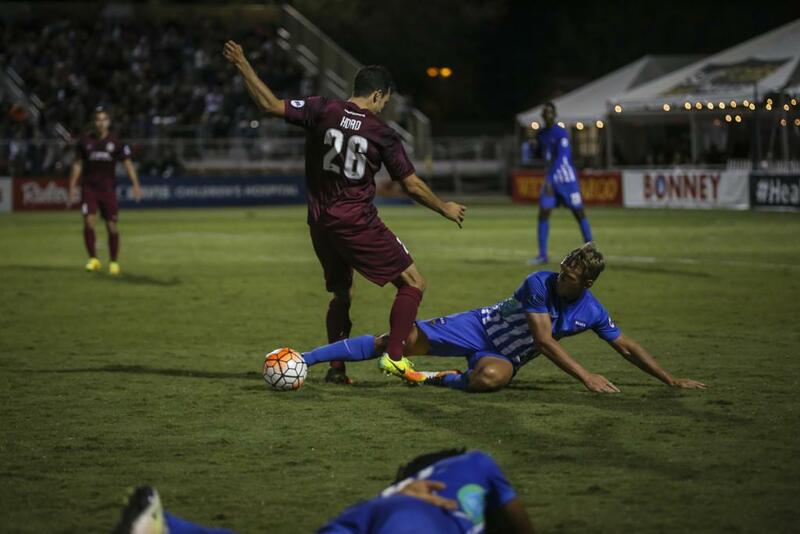 Republic FC’s Iwasa and the Blues’ Richard Chaplow both converted their penalties. JJ Koval stepped up to take the third Republic FC penalty. Koval sent the ball to the left, but a diving Cohen was there for the save. Dusan Stevanovic converted the Blues third penalty giving them the advantage. 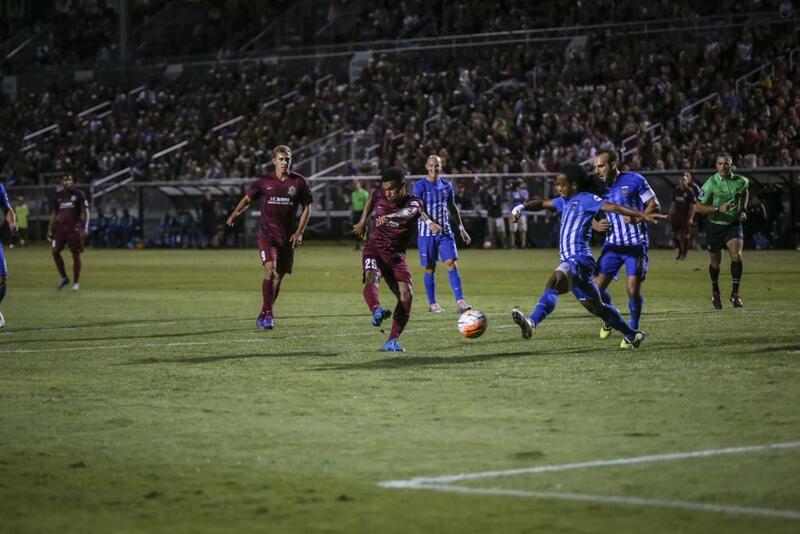 Republic FC’s Guzman and Cole converted their penalty opportunities and after Orr Barouch scored his penalty, Didier Crettenand stepped up to take the Blues fifth and the match-deciding penalty. Crettenand slowly approached the ball before sending the ball into the upper left side of the net over the outstretched hand of Newton who had guessed correctly. With the penalty shootout win, the Blues move on to the 2016 USL Cup Playoffs Western Conference Semifinals. The Blues will face Swope Park Rangers on Sunday Oct. 9 in Kansas City, Mo. Republic FC will return to Bonney Field on Wednesday, Oct. 5 for a final friendly match against Chivas. Kickoff is 7 p.m. Tickets are available at Ticketmaster.com. Misconduct Summary: OC – Matt Sheldon (caution) 68, Ivan Mirković (caution) 109, Brenton Griffiths (caution) 120. Orange County Blues FC – Joshua Cohen; Andrae Campbell (Roy Meeus 100), Brenton Griffiths, Maurice Pluntke, Matt Sheldon; Richard Chaplow, Ivan Mirković, Mats Bjurman (Verneri Valimaa 100), Didier Crettenand, Trevin Caesar (Orr Barouch 87), Akwafei Ajeakwa (Dusan Stevanovic 90). Subs Not Used: Brandon Miller; Kwame Watson-Siriboe, Max Rauhofer. Stats: Shots: 12, Shots on Goal: 3, Saves: 2, Fouls: 21, Corner Kicks: 9, Offside: 3. 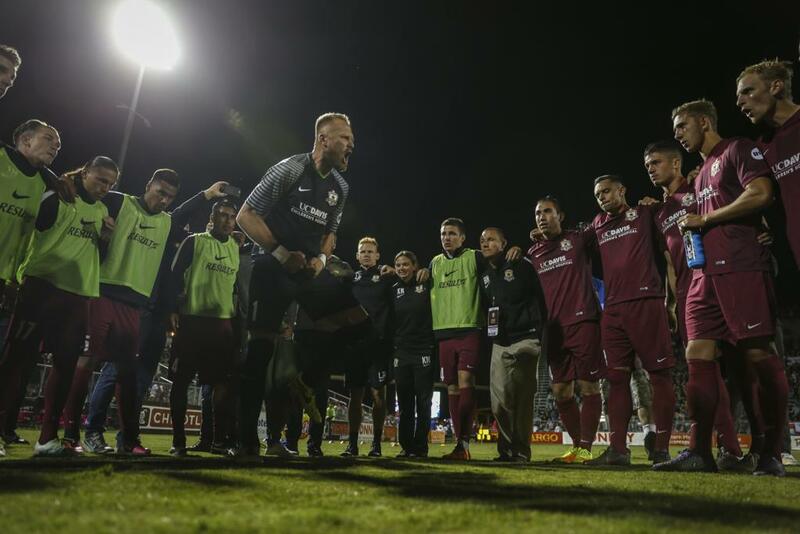 Sacramento Republic FC – Evan Newton; Elliott Hord, Chris Christian, Mike da Fonte, James Kiffe; Cameron Iwasa, Jeremy Hall (Octavio Guzman 100), Matt LaGrassa (Carlos Rodriguez 82), Danny Barrera (Daniel Trickett-Smith 90), Harry Williams (Carlton Cole 73), Wilson Kneeshaw (JJ Koval 63). Subs Not Used: Dominik Jakubek, Alfonso Motagalvan.